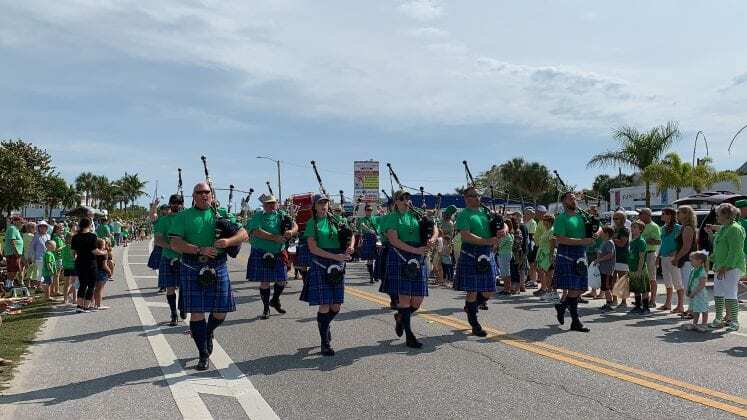 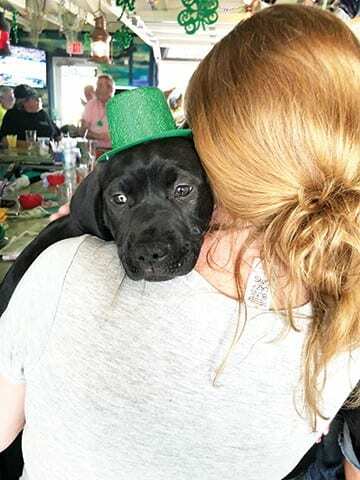 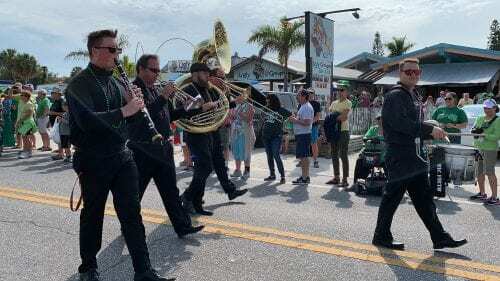 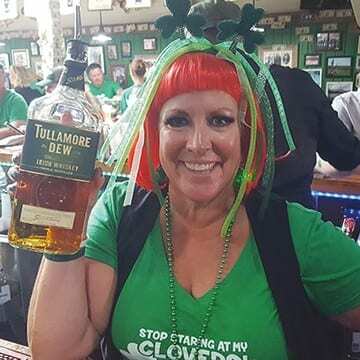 HOLMES BEACH – If you were green with envy on St. Patrick’s Day, it’s only because you weren’t at the Island’s annual Beach Bistro St. Patrick’s Day Parade. 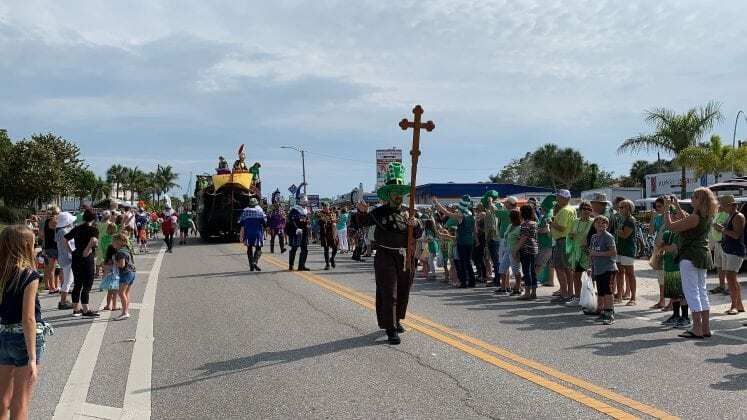 The parade stretched from the intersection of Gulf and Marina Drives to Palm Drive. 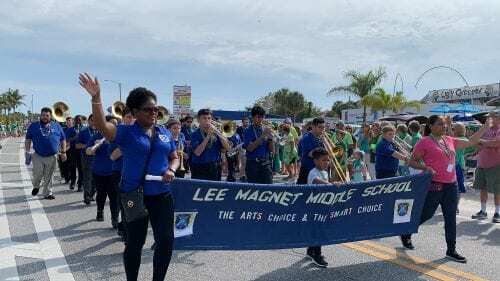 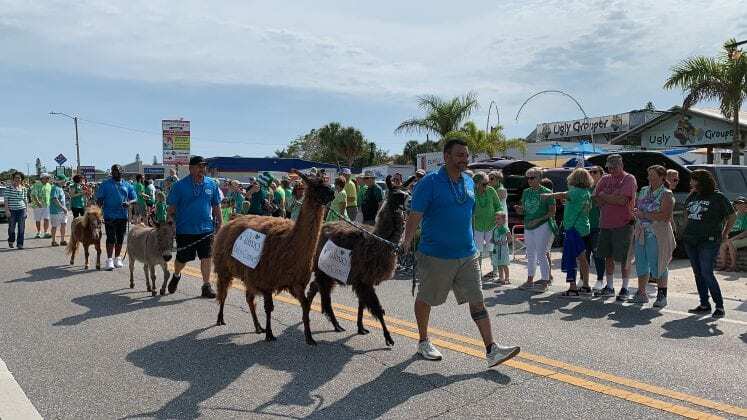 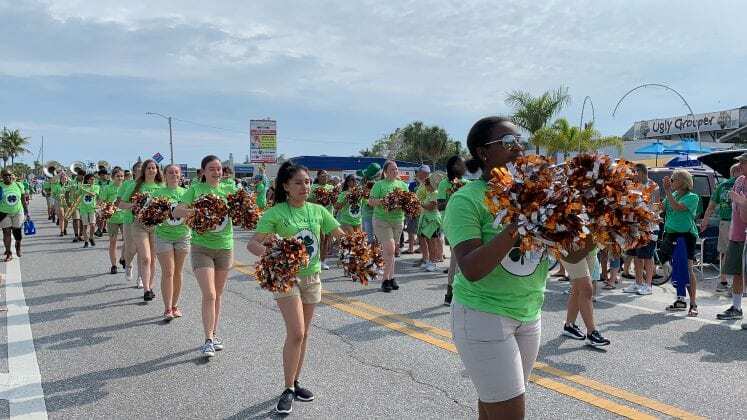 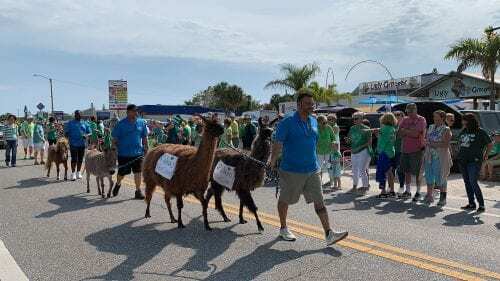 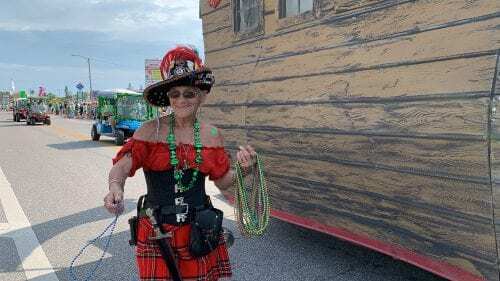 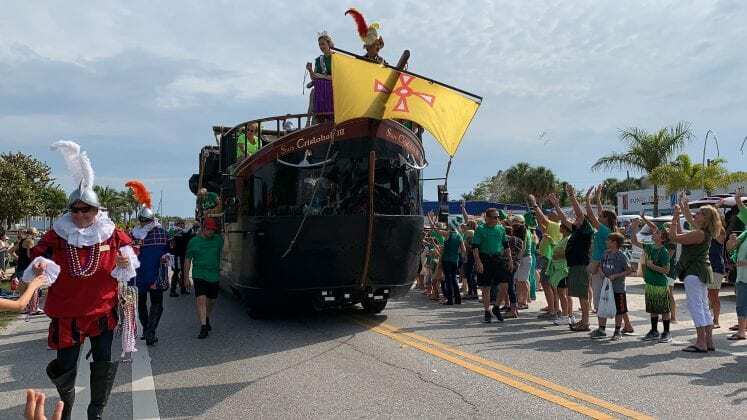 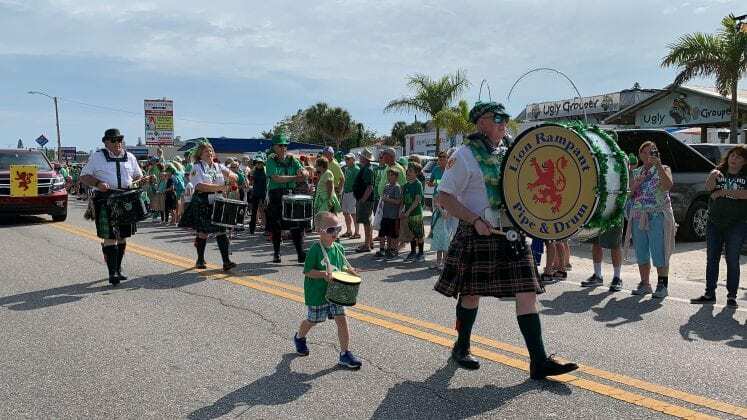 The festivities brought out hundreds of people who crowded in along the sidewalks to get a glimpse of this year’s participants, ranging from pirates and conquistadors to locals dressed in their leprechaun green best and a few live animals trotting down the parade route. 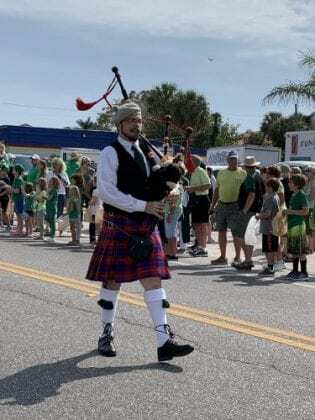 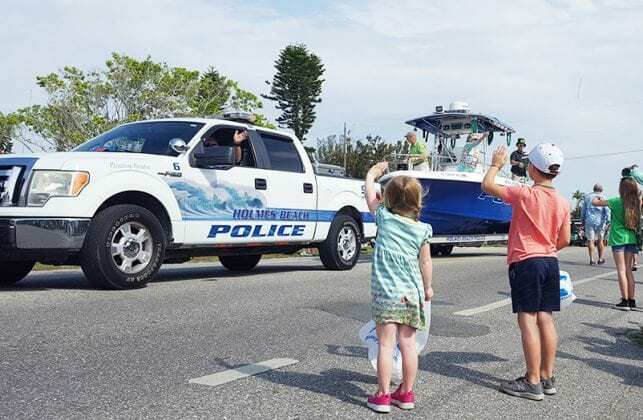 A lone bagpiper kicked off the parade along with Holmes Beach Police Chief Bill Tokajer who led the parade with flashing lights and tossing beads to the crowd. 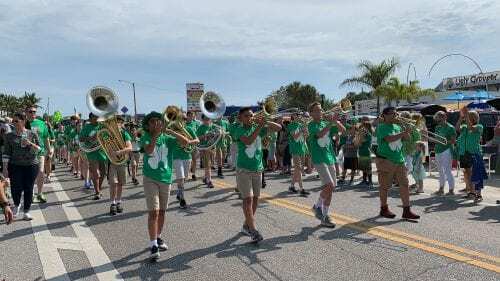 Several local bands participated, including the marching bands from Southeast High School, Rowlett Middle Academy and Lee Magnet Middle School. 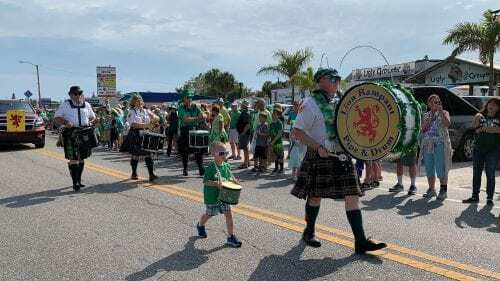 A New Orleans-style jazz band greeted with cheers along with a team of bagpipers, though the star was a little drummer boy playing along with the Lion Rampant Pipe and Drum. 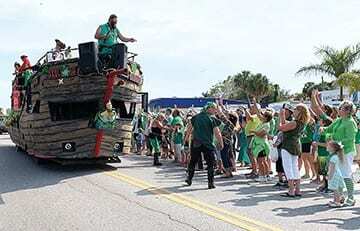 The biggest roars from the crowd undoubtedly came when the area’s pirate crewes came on the scene. The Anna Maria Island Privateers led the pirate charge into the parade aboard the SkullyWag landbound pirate ship followed by the DeSoto crew of conquistadors from the Hernando DeSoto Historical Society, who closed out the parade on the San Cristobal landbound ship. As usual, the parade was put on and sponsored by local restaurateur Sean Murphy.